Technology has completely transformed the way humans used to function in the past. The world has become so tech-savvy that people have started to rely on mobile applications to go on dates. Tinder is one such mobile app, which has become a trend in the dating world. Tinder has given people the ability to find the perfect date simply by right swiping, and the truth is many people have even found their significant others on Tinder itself. However, you aren’t here to understand the benefits of Tinder. You’re here to know how to make a dating app like Tinder and establish a strong brand name for your business. Making an app like Tinder is quite an easy task. The app doesn’t have too many complicated features and can be easily created by hiring a team of professional app developers. 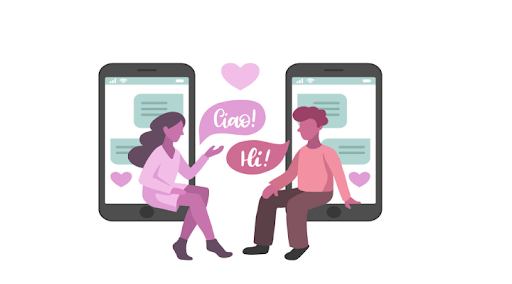 To ease out your job, we have compiled an in-depth guide to developing a dating app with all the required features, customers seek. Why Should You Build a Dating App Like Tinder? Before moving with the development process, let’s first understand the significance of developing a dating app. There are people who are against such apps and consider them as a threat to society. People have even experienced the worst dates from such apps. So, why should you bother to invest your time and capital in developing an app which can hurt someone’s emotions? Well, the truth is many people have found their life partners from the dating apps as well. Even though some have had bad experiences, they’re less likely to stop using these apps. Reason being, the dating app is a way for them to connect with people who share similar hobbies and thought process. Everyone is mature enough to understand that one bad experience doesn’t mean everyone out there is the same. That’s the reason why the use of dating apps has rapidly increased in the past. Studies suggest that users spend more than 90 minutes on Tinder and other dating apps every day. Furthermore, Tinder has more than 50 million active users, across the globe. While you might think that all these 50 million users are teenagers and young millennials, it’s not true. Tinder even has users between the age group of 40-50. It means that everyone is using dating apps, and this trend is not expected to end soon. This is the reason why investing in building a dating app is worth your time and money. There are already many dating apps in the market which have managed to gain popularity among users. Of course, if you launch a dating app, you’re going to be in direct competition with these existing apps. So, it’s important to analyze their business models so that you can build effective strategies for your dating app. Here are some of the already existing dating apps like Tinder. Badoo is one of the widely used dating apps. The app has more than 370 million active users across the globe. Even though Badoo is quite similar to Tinder, there are a couple of features which separate both these apps. Users can view the profile of nearby people and either swipe right or swipe left, like Tinder, to accept/reject the match. The app also takes user verification quite seriously and doesn’t allow spammy accounts. Tinder is probably the most famous dating app right now. It has helped many people find dates and even true love. Like Badoo, the users can swipe left/right to accept/reject a match. Once both the parties have accepted the match, they can chat with each other within the app itself. Happn uses a different business model from the above two dating apps. In this case, users can find matches which have visited the same place (bar, coffeehouse, restaurant, etc.). When a user visits a new place, he can add a check-in and connect with people who are also visiting the same place. How do Dating Apps Make Money? As far as the profit is concerned, a dating app can become a goldmine for your business. As of 2018, Tinder’s overall business revenue was calculated to be more than $800 million with 102 million active subscribers. It means that while users were busy swiping left and right, Tinder was making more than $200,000 every day. That’s quite a lot of money! However, the question that may bug many people is how do these dating apps actually make money? In this scenario, the user would have to pay a specific subscription amount to gain access to the app features for a certain time period. However, the subscription plan may not be the most convenient revenue model for a dating app as every user may not be willing to pay the monthly subscription for the app. The advertisement is the revenue model used by the majority of the app publishers. Apart from being convenient, displaying ads in your mobile app can help you earn a decent profit. You can also use advertisement along with any other revenue model. The last model, used by the majority of dating apps is the Freemium model. In this case, the user has access to some of the basic features and has to pay the subscription charges to access premium features. For instance, the premium features may include an increased number of swipes (like tinder), better profile visibility, etc. Now, that you know how do dating apps make money, let’s take a look at some of the essential features your dating app must have. Before developing any mobile app, you need to enlist all the features that you want to integrate into your app. This will ease out the entire app development process and help you develop a rough budget for your app. It is important to understand that the app development cost is highly influenced by the features of the app. So, make sure that you to list all the features you want in your dating app. Here are some of the basic and certainly essential features every dating app must have. To access the features of the app, every user needs to create a profile. When it comes to creating a user profile, there are a couple of things that you must keep in mind. First and foremost, your app must have social media integration so that users can create a new profile using their social media credentials only. This will enhance the user experience as no one wants to create new profiles from scratch. You must create a dating app with social media integration so that users can easily create a new profile. It is also important to keep the profile creation process as simple and as short as possible. Geolocation is one of the important pillars of making a dating app like Tinder. The main purpose of having a dating app is to find nearby people. This is only possible when your app supports geolocation services. You can use Google’s map services to integrate geolocation in your dating app. A dating app also needs to have a dedicated chat room so that users can communicate with each other. However, the chat must only be enabled when both the parties have matched with each other. It means that no one can send random messages to an unknown person. This will encourage more users to sign up for the app as it won’t fill the user’s notification tray with unnecessary messages from random people. Push notifications are a crucial feature of any dating app. They notify the users about new messages, matches, and app offers. The app will also use the push notification feature to notify the customer about nearby people with similar hobbies. These are, of course, the basic features every dating app should have. You can add as many features as you want in your dating app. However, keep in mind that with every new feature, the app development cost will gradually increase. How Much Does it Cost to Create a Dating App Like Tinder? Per Hour Development Rates of Developers. Total Time to Develop the App. Let’s discuss each of these points individually. Which platform do you want your app to run on? Since it’s a dating app, you’re more likely to build a cross-platform mobile app. Reason being, both iOS as well as Android users use a dating app on a daily basis. Building a cross-platform mobile app will help you serve your entire target audience, regardless of the mobile platform they use. It is worth noting that developing cross-platform mobile apps costs comparatively less than native app development. The majority of the app developers charge according to their per hour development rates. These rates vary from developer to developer and usually depends on the expertise and services being offered. However, the development rates can vary according to the location as well. Indian developers charge comparatively less than developers in the US. It means that if you hire a team of app developers from India, it will cost less to develop the app. Time is a crucial factor in deciding the app development cost. The longer it takes to develop the app, the higher would be the overall development cost. This is the reason it’s always recommended to hire developers who follow a time tested approach and can develop the mobile app as quickly as possible. If you think the app development process ends with the final deployment, you’re wrong. It is crucial to add new features to your app to keep users engaged every day. Even though maintenance isn’t a part of the development itself, it does have an impact on the development cost. Considering all these factors, the minimum cost to make a dating app would be $14,000. However, this is only a rough estimate and not a final figure. To get a precise quote, reach out to mobile app developers and let them analyze your app requirements to decide the final app development cost. Building a dating app can be extremely beneficial. People do not seem to stop using apps like Tinder. So, if you have an idea for a dating app, this is the right time to take further actions. Our developers have the desired technical expertise to shape your mobile app idea into a feature-rich dating app. Share your app requirements with our developers, and let our professionals come up with the most suitable strategies and development approach, which suits your business requirements. Build a dating app and let people use the Internet to find love.